YouTube is making some cosmetic changes to its user interface, for both desktop and mobile users of the video service. Google announced the changes today, which are now available as an open beta on the desktop, before they officially go live. One of those new elements is a dark theme which which should make videos pop out more. If you want to try it out you can go to the youtube.com/new page and opt-in for the revamped UI experience. Google says it is using a framework called Polymer for the new YouTube design, and added that it will also allow more new features to be added at a more rapid pace than before. 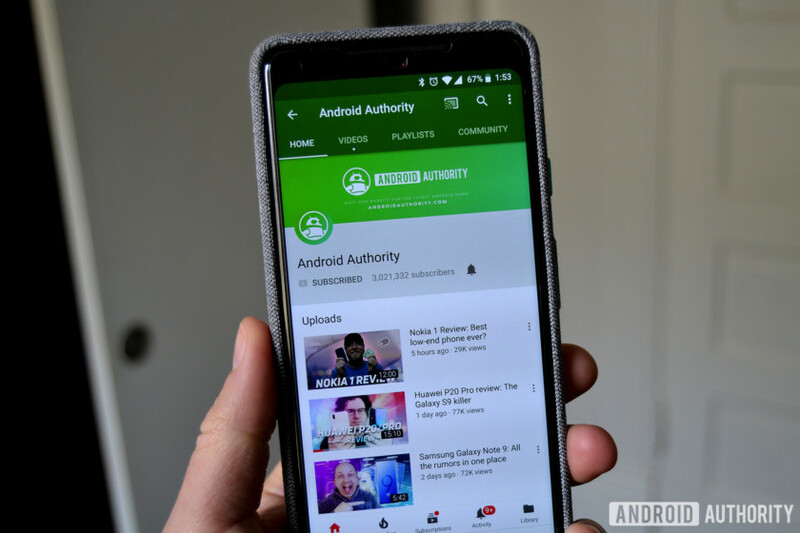 In addition, Android Police reports that a few people are seeing some changes in the YouTube mobile app. Specifically, they are seeing that the app no longer shows most of its red elements, and that the design now is mostly black and white in terms of background, menus and icons. Again, this is showing up for just a few Android owners, so it’s likely that Google is just testing this new look out to see if it gets any positive feedback before it goes live for everyone else. March 7, 2019: YouTube has started a new notification system that pops up fact checks when people perform searches using flagged terms. For example, someone could be looking up whether or not a particular drug is safe, unaware of the fact that there’s an online hoax happening related to that drug. In that person’s search results, an “information panel” will appear which will give that user some helpful information. September 5, 2018: YouTube dark theme first showed up in an APK teardown at the very beginning of 2018, and then arrived on iOS devices in March of this year. Now, finally, Android users will have the ability to cut down on the bright whites throughout the YouTube app. August 27, 2018: YouTube Digital Wellbeing tools are available to all Android users running any version of the Android YouTube app after version 13.16.